For many years, Western countries exploited their colonies and absorbed the majority of their essential resources and used them for their own profit. The great colonising powers, mainly from Europe, did not invest in infrastructure in order to promote quality of life improvements in their former territories. Decolonisation could be the right time to return those benefits to the former colonies through international cooperation for development (ICD), but more can be done. A developing country that does not have enough resources to promote its own development will need official development assistance (ODA) so that it can get financial or logistical aid from the developed countries, that were once their colonisers. The ODA funds will be used to invest in ICD projects which are needed to help in the development of developing countries – the way that this aid is applied can differ from country to country, or international organisation. Development is something that is part of our societies, and now that we live in globalised societies, development needs to follow globalisation. However, each society takes its own time to develop; we cannot obligate a Maghreb country to be as developed as the United States of America in a just few years without any ODA. New infrastructure needs to be created to improve the welfare of local populations in developing countries, especially in Least Developed Countries (LCD). There are a few setbacks in developing countries; societies are normally fragile and armed conflicts occur easily, provoking the destruction of progress and prosperity already achieved. To develop a country, time is necessary in order to create real results. An ICD programme will only bring advantages for all the stakeholders but a programme of development requires the consent of the local communities. The Western vision for development sometimes is not the best option for a developing country. There are different perspectives and the ODA is never free of ideology and external influence. For example, the many cases during the Cold Word where the two blocks were trying to get more influence through ODA programmes. Even International Organisations and NGOs, normally seen as free of ideologies, end up influencing local communities with Western ideas and sometimes this is not well accepted by local societies because of the cultural and ethnic differences. The Western reality is different from the developing countries reality; each community has their own priorities. The top priority is to receive aid in order to assist development, which will improve the wellbeing of local populations. The ODA is an essential aid, but when local customs and traditions are respected the ICD is better accepted. It is necessary to study and understand the local communities that will receive ODA in order to create an ICD programme between local and foreign actors. Hence, it is necessary to increase local human capital, thus preparing local groups with autonomy whom in short term will be able to provide a long term improvement in the welfare of their communities. Development has to be sustainable; the real results can take more time but the aim is for countries to survive and improve its own societies in a long term. Sustainable development will give a better future to the new generations, as it is always better to teach a man how to fish than give a man a fish. The political regimes are also a factor that have influence on the speed of the societies’ development, but it cannot be seen as a differential factor. For example, the Somalian case where Turkey is investing in the stability of Somalia, while others are waiting for stability in the country before investing. We cannot impose western ideologies in societies used to living in a tribal base of organisation. No matter how strange and against our values it may seem to us, it is up to the locals to choose the best regime for them. That is why the new South-South cooperation is experiencing more acceptance than the North-South cooperation, characterised by the relations between former colonisers and colonised. 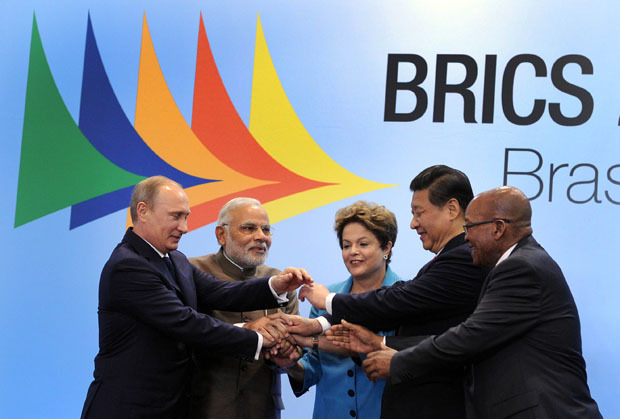 The South-South cooperation is a new kind of partnership between equal countries – the new emerging countries, such as China, Brazil, Turkey – which are also developing countries. They now have a strong voice in the global system and are moving from recipients of ODA to donors of ODA. They understand better than Western countries the local needs of developing countries. ODA is better accepted by other developing countries when implemented by the new emerging countries, but a local base of organisations is still needed as the pillar of the sustainable development. This way local populations will keep their traditions and customs alive, helping to maintain our globalised world full of diversity, and not a world uniformed with Western ideas, without the multiculturalism that characterises the life of our societies. That is what the European Neighbourhood Policy (ENP) tries to do. The EU works with its southern and eastern neighbours to achieve the closest possible political association and the greatest possible degree of economic integration without damaging the cultural interface of the local societies, but by persuading them to embrace a more democratic structure in every sector – still tailored for the local background.